You want to go into 2019 strong, but let’s be real, you also want to enjoy the holidays! What if I could give you a strategy that is quick and easy to implement, requires virtually no changes to your existing processes, and comes with some pretty amazing benefits? Then 2019 is the year to start mining email replies. Every time you send an email campaign, you inevitably receive replies. These can be Out-Of-Office (OOO), Left-The-Company (LTC), or even manual replies or unsubscribe requests. Historically, auto-responses like OOO and LTC are considered a “nuisance” and deleted. However, they actually contain valuable information about the accounts you’re engaging. 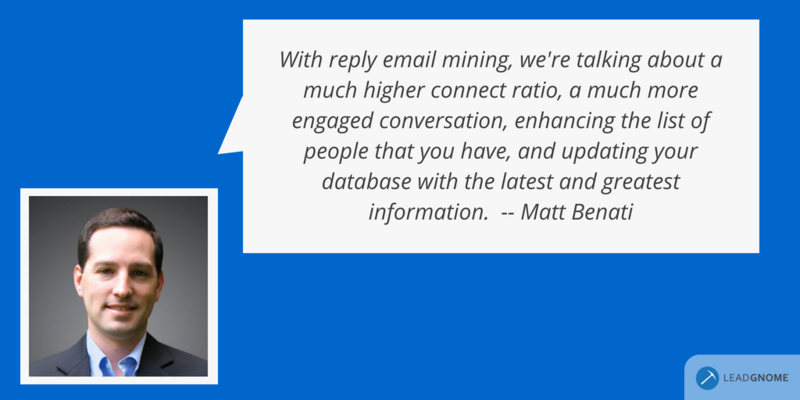 Mining email replies is one of the most efficient, easiest, and cost-effective ways to continuously maintain the health of your database. Why? Because the information in email replies comes directly from the freshest source possible: contacts at the best-fit accounts your team is already engaging. Enriching existing records – Add office phone numbers, cell numbers, and titles to existing records. This is especially valuable if your organization uses inbound marketing techniques with low-friction forms. According to Gartner, it takes an average of 7 people within an organization to make a B2B buying decision. 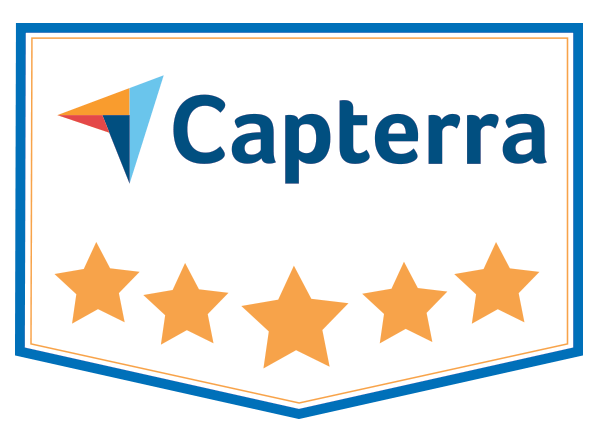 It’s no longer enough to just engage folks in the C-suite; now, many organizations solicit input from multiple employees, from managers to everyday users, before deciding if a new solution is a good fit. Identifying and engaging these additional leads helps you grow pipeline and close more deals. How do you find them? You guessed it: reply emails. Add 20%+ New Contacts Annually – Around 55-65% of reply emails contain an alternate contact. By sending just two emails per month, you can add 20%+ new contacts to your database annually. Map these new contacts to your account to identify the influencers and decision makers you need to be in front of. Identify Replacement Contacts – A Left-The-Company reply is far from the end of the road. 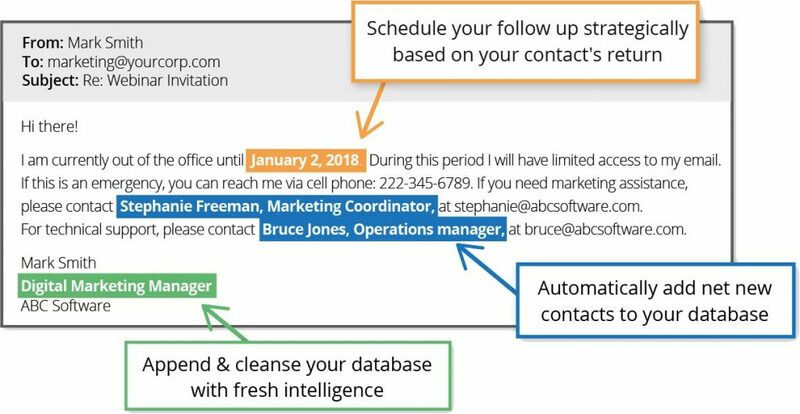 Whether your old lead was blocking you from an opportunity, or the account was already a customer, a replacement contact creates new opportunities to grow pipeline. As a reminder, whenever you are adding new contacts to your database, it’s always a best practice to use permission-based marketing. Reach out to the new contact, introduce yourself, make your intention clear, and ask them to opt-in to future communication. One of the easiest and quickest ways to deliver relevant leads is by concentrating your email marketing strategy on sales-targeted (best fit) accounts and mining email replies for intelligence. Why? Because every reply is loaded with SALES READY data; information about the people and accounts that sales cares about — coming straight from the source itself. These sales-ready leads could be influencers or even decision makers that could positively impact an opportunity that your team is working. Leads you acquire through email mining are more current and accurate than any other lead generation model since the data is coming directly from your target accounts. They’re premium, sales-ready leads that are within the account, and often even within the opportunity. What would you and your sales team pay for leads like this? The lead generation industry typically charges more than $0.50 for account-specific leads. 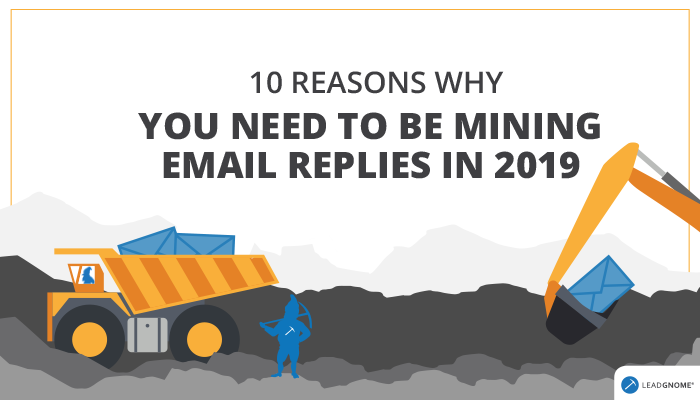 Organizations that automate the email mining process have a CPL (Cost Per Lead) ranges from $0.10 to $0.40. Email spam laws are serious business for any organization that uses Commercial Electronic Messages (CEMs) – i.e. emails. Fines for infractions range from $40K – $23M, depending on the recipient’s country of residence, whether the sender is an organization or individual, and the severity and frequency of the violation. While the laws differ between the United States, Canada and Europe, there is one common requirement: managing unsubscribe requests. If someone requests to opt-out of your sales and marketing campaigns, you MUST immediately comply — even if the request is a manual email and not done through your automatic unsubscribe link. When you’re mining email replies, you catch these manual unsubscribe requests. When you’re not monitoring replies, they could be missed, resulting in annoyed (or even irate) people. At best, they reach out again and ask to be removed from your list. At worst, they slam you on social media, and report you, resulting in fines for violating email spam laws. It may seem counterintuitive, but your leads’ vacations, seminars, and other times out of the office can actually be the key to increasing connect rates. Gone are the days when you deleted OOO auto-responses and assumed the lead would see your email when they returned. Now, savvy sales and marketing teams are putting those dates to use resending campaigns, and even scheduling personal calls and emails when they know leads will be back in the office. As a bonus, you can add net new contacts – alternate contacts found in OOOs – to your database and engage them during the most opportune time: while you’re original lead is still out of the office, and the alternate contact is expecting to hear from other people. Go a step further and plan a friendly, non-spammy email campaign around times when people are generally out of the office more: summer and holidays. While the typical reply rate is around 2-3% throughout the year, it’s slightly higher around the holidays, so you’ll receive more OOO replies than usual. Aligning your sales and marketing teams will increase your business’s productivity and revenue. By allowing teams to focus resources on a defined set of accounts versus generic inbound and outbound marketing to the masses in hopes that someone bites, ABM marketers work closely with sales to identify accounts, map out and implement strategies, and track progress. The alignment process can be broken down into three steps. You can read about these steps more in-depth in this Quick Start Guide To Aligning Sales & Marketing Teams. A big part of alignment planning is sales and marketing agreeing on an Ideal Customer Profile (ICP). Most sales and marketing leaders are familiar with the concept of ICP, and a simple formula expands this well-known term: Ideal Customer Profile = Ideal Account Profile + Ideal Buyer Profile (ICP = IAP + IBP). I love this formula because it shows both sides of the revenue coin. By defining and agreeing on the profiles , and putting them together in the specific account-first-buyer-second order, sales and marketing can effectively work together to optimize productivity and focus on the only goal that really matters: growing revenue. The ultimate goal of every sales and marketing team should be to drive revenue. While there are countless ways to achieve this, depending on your business, one of the simplest – and often-overlooked – is analyzing your campaign email replies and identifying and leveraging sales trigger events. According to Craig Elias, founder of ShiftSelling.com, the first company in wins the sale 74% of the time. He frequently talks about this concept of “trigger selling,” and the advantages of identifying sales trigger events early. One of the most significant trigger events is when a lead leaves the company. When mining email replies, you’ll want to be on the lookout for Left The-Company auto-responses. A LTC is not a dead end! Far from it, a LTC could be in place for months before a hard bounce is generated, giving you a significant timing advantage over competitors. Check out this post to find out how to turn a LTC into FOUR potential sales opportunities. Mining email replies is hard. It’s a time-consuming and error-prone process when done manually, which is why it’s been a task largely ignored in the past. LeadGnome automates the process, running seamlessly in the background and automatically (and instantly) mining every reply to your email campaigns. This saves organizations in time, money, and human resources. When the additional benefits of automating are considered (database cleansing, new sales-ready leads, trigger events, etc. ), most LeadGnome users report a positive ROI within the first month. Some have realized an ROI of more than 600% after using LeadGnome for just one year. LeadGnome does the heavy lifting by analyzing replies and extracting relevant data, but how you leverage that data is the real key to success. At minimum, you should update your CRM with fresh contact information. But even that is time-consuming when done manually. 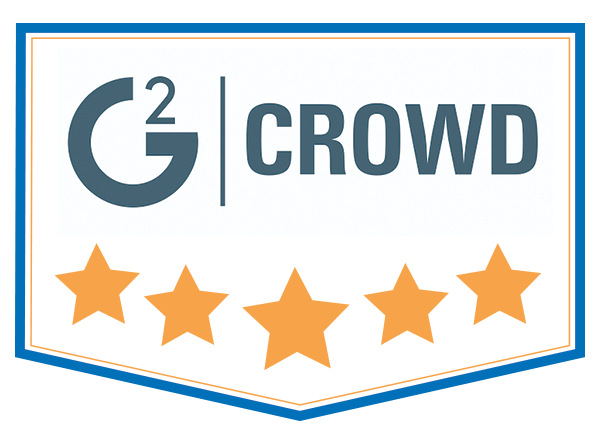 LeadGnome saves you even more time by integrating with all major CRMs, email systems, and marketing automation platforms (MAPs), including HubSpot, Marketo, Salesforce, and Oracle. From your MAP of choice, you can create custom programs that use LeadGnome data to trigger workflows to automate tasks, such as updating your database, sending new leads a specific email, or alerting account owners to trigger events like a lead leaving the company. Check out these posts to learn more about using LeadGnome with HubSpot and Marketo automation. Inbound marketing can be a fantastic way to engage website visitors that are interested in your content. They come to your website for a reason — because your message resonates and they want to learn more. Simple, frictionless forms allow you to collect email addresses, continue to engage new leads through email marketing, and ultimately convert them from lead to customer. But those frictionless forms can also be an obstacle because you’re usually only collecting an email address. You have a way to contact the new lead, but you don’t know much about their interests, needs, or their role within their organization. You need more information about leads in order to send them targeted messaging. 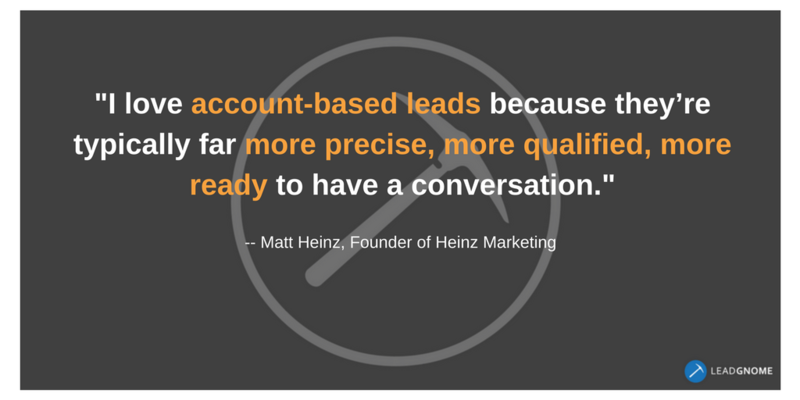 How do you get intel on inbound leads? Email mining, of course! From an unassuming OOO, you could learn your lead’s name (if you didn’t collect it on your form), their title/department, their phone number, whether the lead is an existing target account, and possibly even alternate contacts within the organization. You now have an additional way to contact the lead, and more importantly, you know their role so you can segment them and begin sending personalized content. Many B2B organizations that practice an Account Based Marketing (ABM) model naturally use more outbound marketing strategies than inbound. The main difference between inbound (or lead based) and ABM strategies is that account based models move away from the generic one-off marketing pieces that net a lot of leads, and instead focus on creating high-quality, personalized content meant to spear the handful of qualified leads and expand within already identified accounts. In account based marketing strategies generating more targeted email campaigns, mining email replies allows you to expand your reach within key accounts to discover key influencers and decision makers, better personalize your messaging, identify trigger events and discover up-sell/cross-sell opportunities within accounts. There you have it! 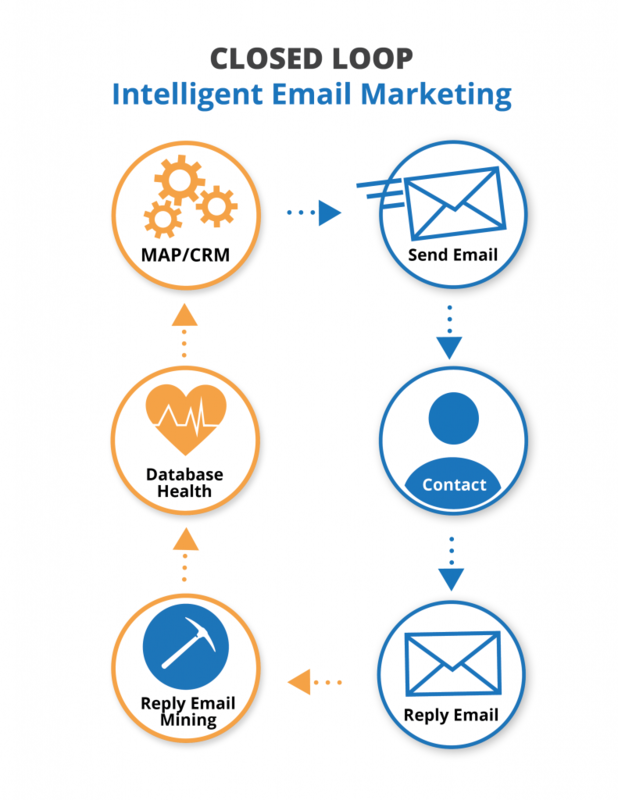 When you look at all the benefits of email mining – not to mention how incredibly easy it becomes when automated with LeadGnome – it’s a no-brainer addition to your 2019 marketing strategy. So pass the eggnog and enjoy the holidays! Want to see more examples of the most common types of email replies inbound marketers receive — and the kind of data LeadGnome uncovers? Download our free Revolutionary B2B Marketing Operations eBook today.